Ready for your new brush obsession? City Color Cosmetics just released their first line of makeup brushes, and they get a big stamp of approval from little ol’ me. 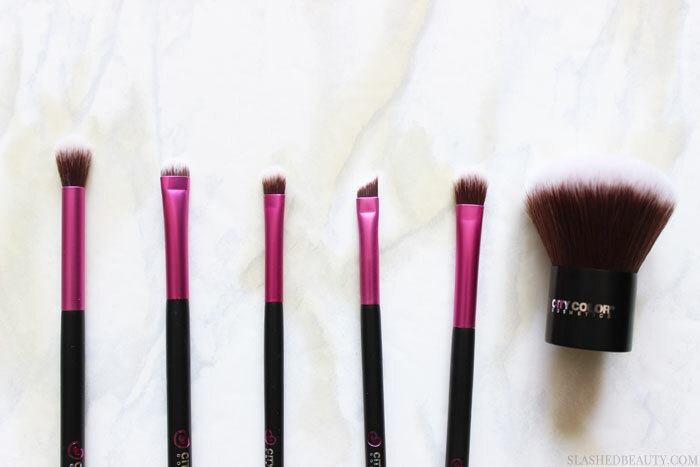 Just like the rest of their products, these brushes are cruelty free and affordable, but don’t compromise any quality. The duo-fiber synthetic bristles are so freaking soft, I can’t stop brushing them onto my face— even without makeup! 😛 The handle is no joke either, with a flashy pink aluminum ferrule and a weighty handle, the brushes are sturdy and rival some of the more expensive ones in my collection. 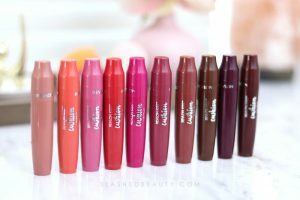 City Color did a really great job with this initial launch, making sure that there’s a brush for every step of your routine available. I got my hands on a good handful to show you the range, and you’ll definitely be seeing more of these in posts and videos! Perfect for setting powder, the bristles are flexible and cover a lot of surface area! Such a versatile shape with densely packed bristles that can be used to precisely place product *and* blend it out. 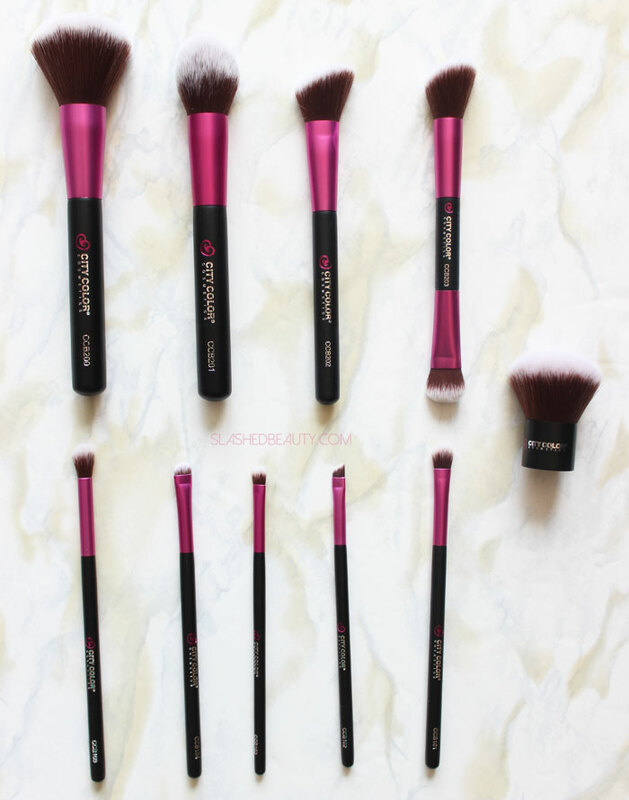 Every collection needs an angled brush! This one makes applying blush, contour or bronzer a piece of cake. The smaller width makes it easy to work right under your cheekbones with a contour shade, and the brushes have just enough give to layer and blend product. On one end of the brush (not pictured), you have the same head from the Angled Brush, while on the other you have this smaller dense brush for precise sculpting. I like using the pictured end to apply contour while using the angled end to blend and add blush. 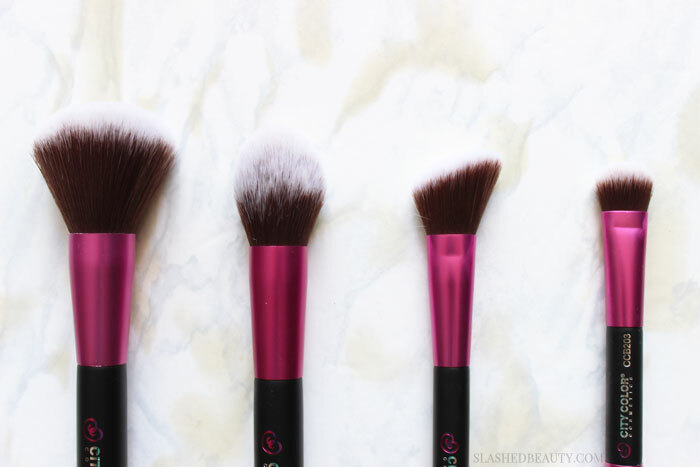 I’m picky when it comes to blending brushes, and this one’s great. 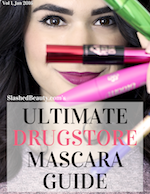 It’s just the right size to both pat product into your outer corners and diffuse them out. It’s not *too* flexible, so you have a say in where product will end up. This is one of my favorite brush shapes, since you can use it to create cut creases, do gel liner, or even smoke out strong lines. This smaller eyeshadow brush is great for packing product into tighter areas, like under the brow bone or in the inner corner. This small angled brush can be used for powder or gel liner, or even to help fill in brows! It has a very blunt edge and sharp point to give you extra control. 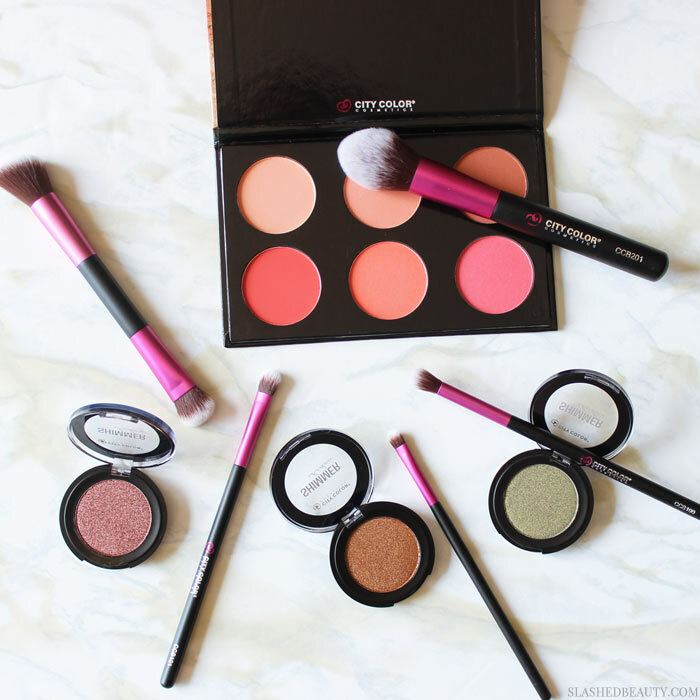 Your must-have standard eyeshadow brush. This one is fluffy and dense, and can pick up a lot of product. Big things come in small packages! This kabuki brush is soft as ever, and is lovely at buffing in powder products. I’m telling you, I think these are going to be the brand’s next best sellers! I’m hoping we see bundled sets in the future, but the prices are low enough that you can definitely pick more than a few up without guilt. Plus, you can use the code SLASHEDBEAUTY for 10% off when ordering from their website. Which of the new brushes could you use in your collection? They sound great! It’s always nice to find inexpensive, high-quality brushes. I love the bright pink ferrules.